In an attempt to prove its ability to reverse-engineer captured American drones, Iran has presented a functional copycat model of the US ScanEagle to a Russian military delegation visiting Tehran. 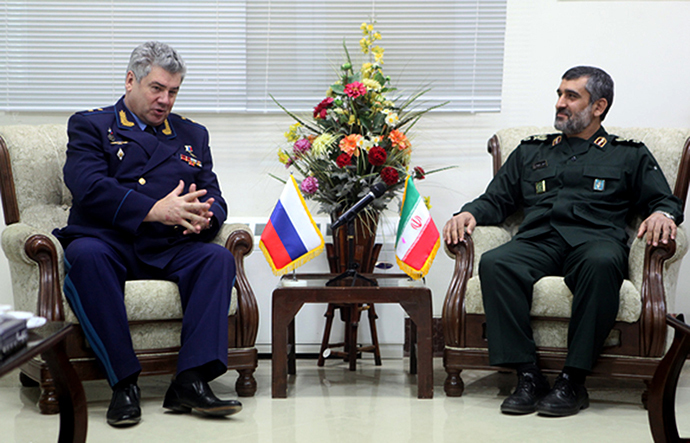 On Sunday, a delegation led by Russian Air Force Commander Lieutenant-General Viktor Bondarev visited several military and engineering facilities in Iran. 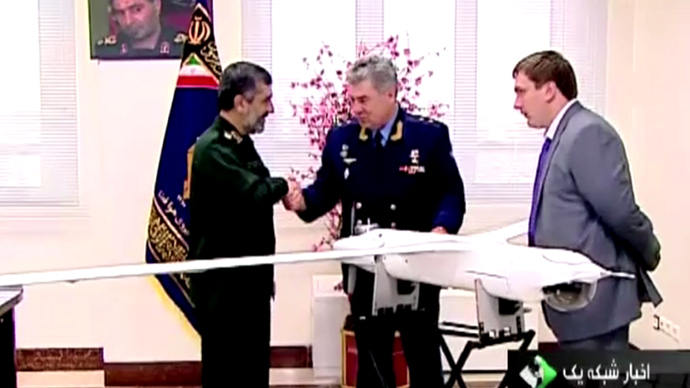 At one such facility in Tehran, Iranian Air Defense Force Commander Farzad Esmayeeli personally presented his Russian counterpart with a copy of the ScanEagle drone. 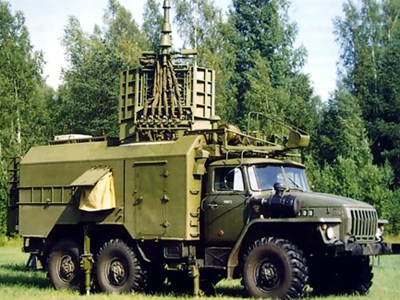 “The drone built by the Islamic Revolutionary Guard Corps is a symbol of the technical capabilities of the Islamic Iran and today we presented a real model of it as a gift to Lieutenant General Viktor Bondarev and the Russian people,” said Brigadier-General Farzad Esmayeeli, the commander of Iran’s Major Khatam ol-Anbia Air Defense Base. “Where’s its control console?” was the first question posed by Bondarev following the presentation. According to Iran’s state-run Tehran Times newspaper, the two generals discussed a range of air defense issues, but a more detailed report was not available. 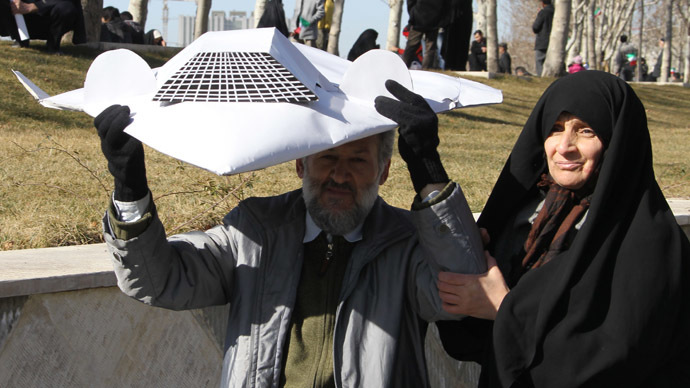 Over the last few years, Iran has been claiming considerable advances in producing new UAV models at home. 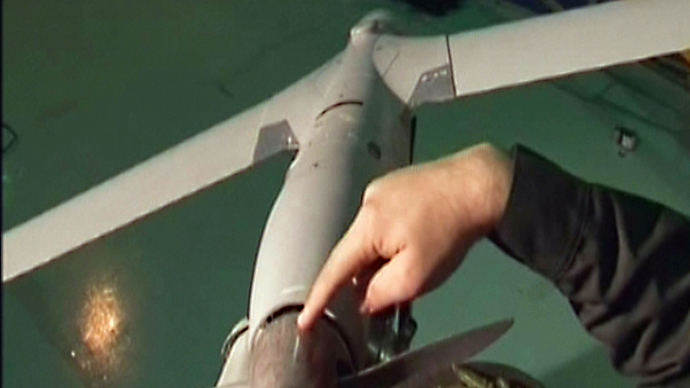 The model of the ScanEagle drone was produced at the Khatam al-Anbia military factory, also known as GHORB, controlled by the Iranian Revolutionary Guards. 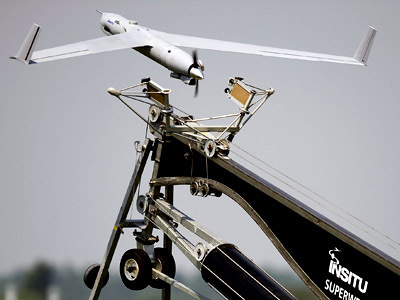 The original ScanEagle Unmanned Aerial Vehicle, made by a Boeing subsidiary, was said to be intercepted by Iranian air defenses in December 2012. 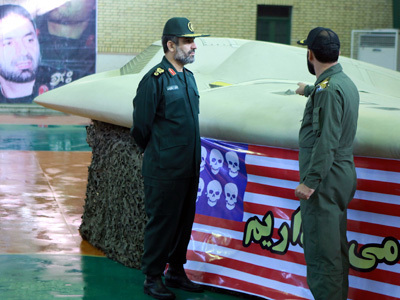 Back then, the Commander of the Islamic Revolutionary Guards, Navy Rear-Admiral Ali Fadavi, announced that a drone that had violated Iranian airspace was successfully intercepted. 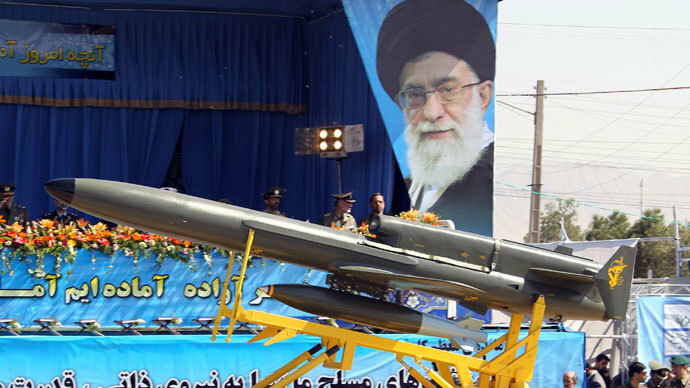 Tehran said it would analyze the aircraft and put it into reverse-engineering mass production. Washington, however, maintained that all of its drones were fully accounted for in a statement. 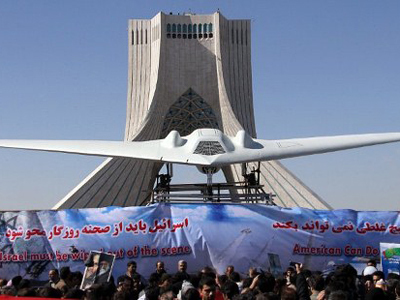 In February 2013, Tehran demonstrated images of a ScanEagle UAV drone production line, revealing that this low-cost, high endurance drone would provide low-altitude reconnaissance for the Iranian military. 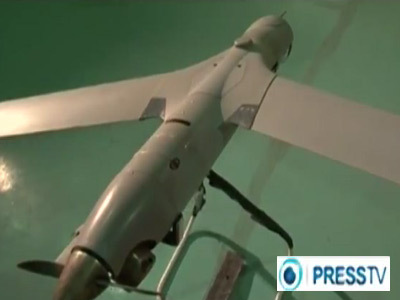 Iran’s official Fars news agency reported that a ScanEagle clone could carry various types of cameras, track stationary and moving targets and provide real-time intelligence while cruising at altitudes of up to 5 kilometers. 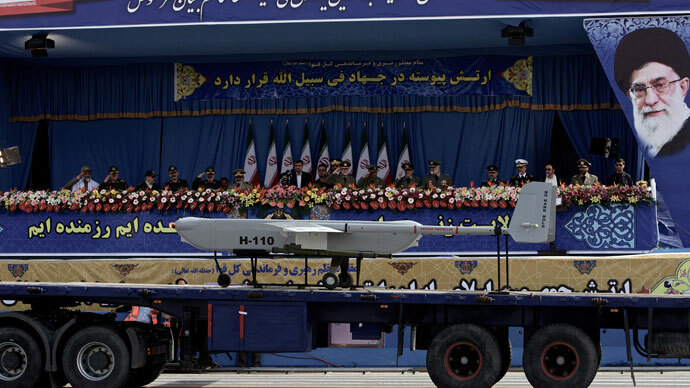 Iran has claimed on several occasions that it has intercepted signals of a number of American and Israeli reconnaissance UAVs that violated Iranian airspace, and made them land on Iranian airfields. 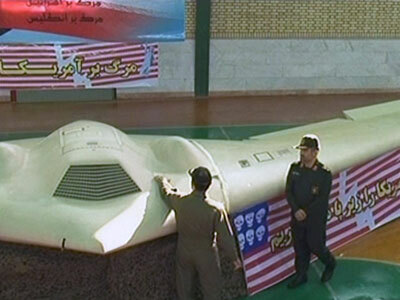 In late 2011, Iran declared it was in possession of the US’s top-secret RQ-170 Sentinel UAV, produced by Lockheed Martin and operated by the CIA when it was captured. After claiming for some time that the aircraft had been lost due to a malfunction, Washington finally demanded that Tehran return the RQ-170, an aircraft with a wingspan larger than that of an F/A-18 Hornet fighter jet. 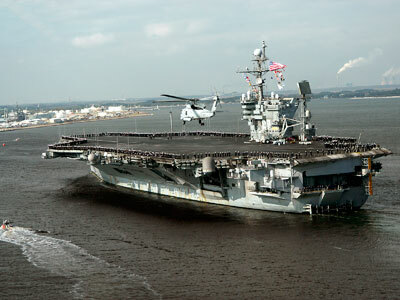 But Tehran said it would decode Sentinel’s computers and attempt to produce a similar aircraft domestically.